I had a consultation with an Orthopedist this week after the MRI that I had showed a bulging disc. I was sort of dreading/expecting him to tell me that I was going to need surgery. Nope, not the case. The doctor held up my MRI, threw it in the trash and said “that’s what that is worth”. Dramatic much? Don’t worry, he pulled it right back out and reinstalled it in my file. The point that he was trying to make was that the bulging disc that I have is very minor and very common in people my age. “Hey Anne, you’re 50, remember that!” ( I tend to forget because I usually fell like I am 30, not 50. ) The doctor proceeded to test all of my reflexes and range of motion, I PASSED! We talked about how to manage the pain in my neck which came down to strengthening my back and improving my posture…mom? 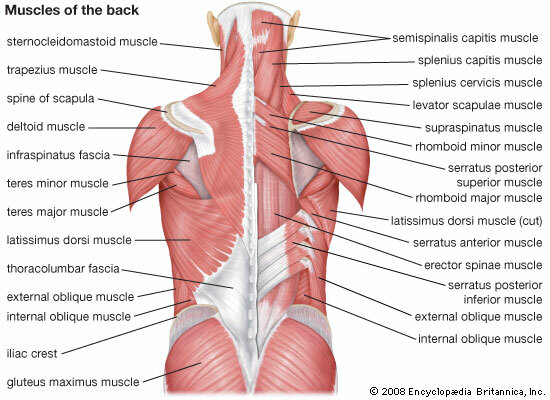 See those small muscles in the middle of the back called Serratus Posterior Superior? Those are the guys I need to strengthen. That’s a lot of muscles! 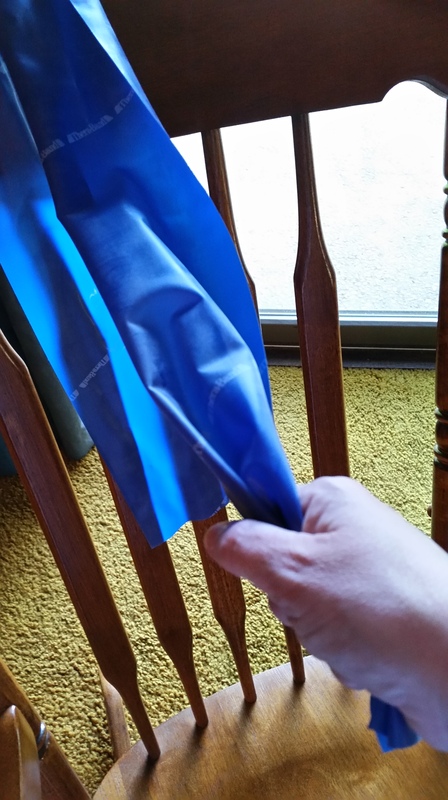 There are a number of exercises that I can/should do using bands instead of free weights. A present from the physical therapist. I was instructed to avoid slapping ropes or flipping tires for a while which means I can’t go to my favorite “Mix-Fit” class for a little bit longer, sigh. I can however start running again! [ Insert angelic chorus here.] I will start off short and slow and build back up to where I want to be. Who knows, I may even be able to sneak in another 5K this year 😉 HEY, You should come too! I will continue to keep my ice pack at the ready just in case! 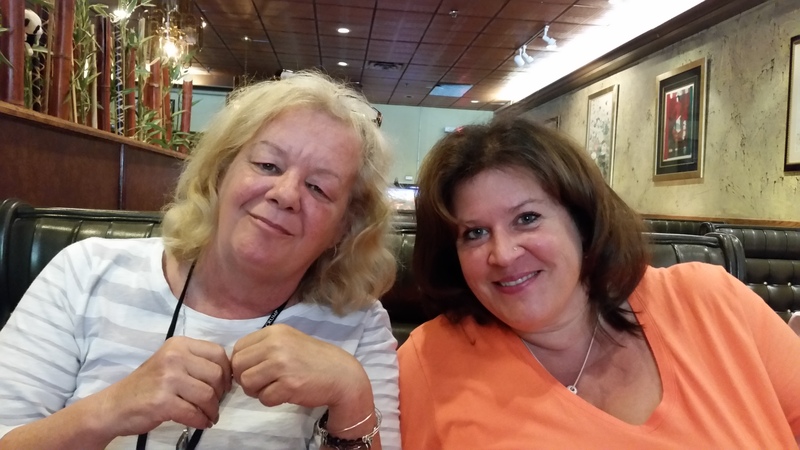 I had the opportunity to join two good friends, Sandy and Bonni, for lunch earlier this week. We were reminiscing about a time when we had all worked together. As the conversation progressed I realized that we were only talking about all of the fun and laughs that we had. Of course this got us laughing again! 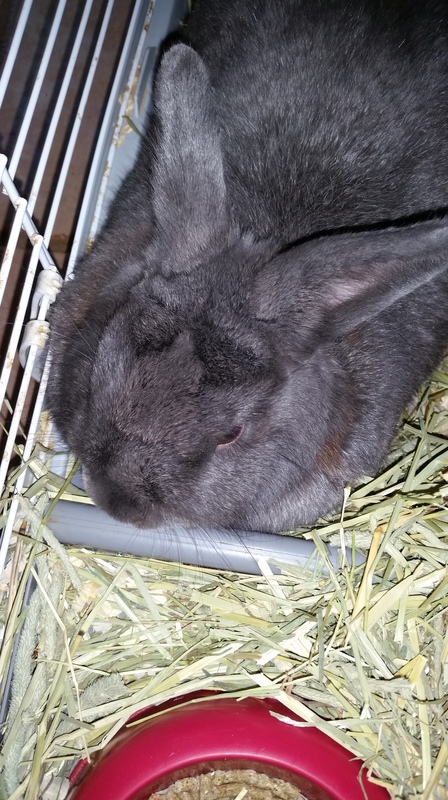 Bonni and I sat near each other at work and frequently would only need to exchange a look that made us burst out laughing….not chuckling, LAUGHING. Sandy has an infectious laugh, I DARE you not to laugh right along with her. In other news, I updated my sock wardrobe! Do you have one or more friends that you know you can always count on for a good laugh? 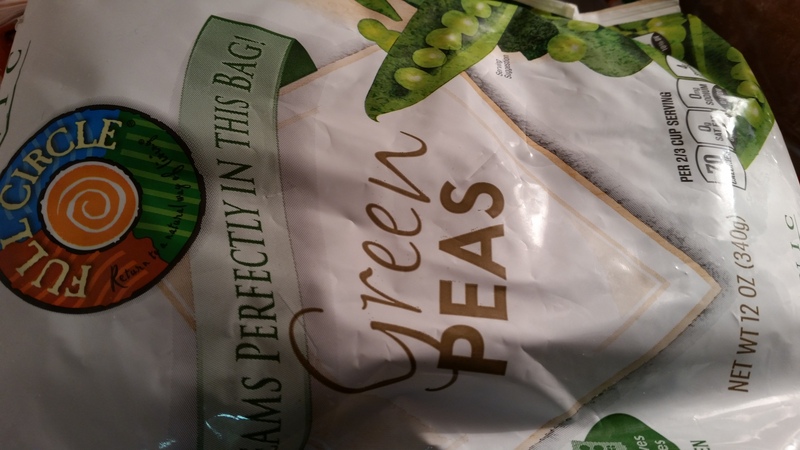 Do you keep a bag of frozen peas just for bumps and bruises? 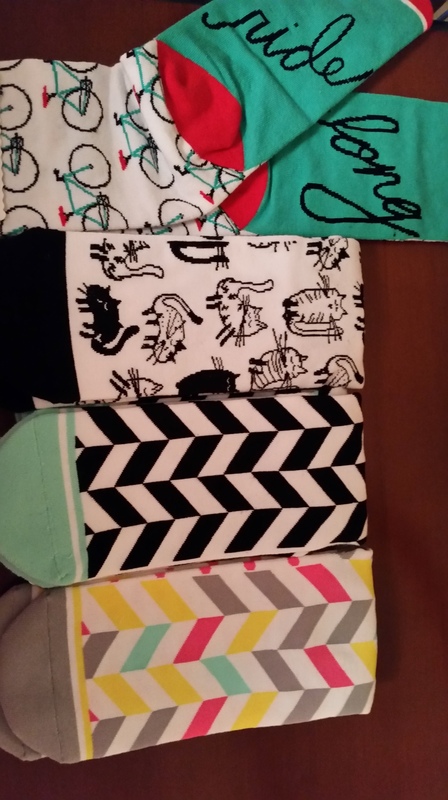 How is your sock wardrobe looking?